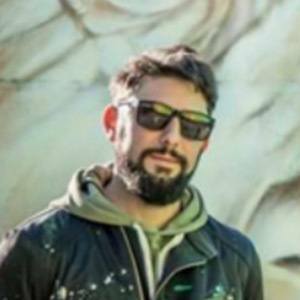 Argentine painter and artist who is best recognized for his large scale urban murals throughout Buenos Aires and internationally as well. He is the co-founder of the Urban Beautification program and shares his paintings through Instagram for his over 30,000 followers. He started sharing his work through Instagram in December of 2012. He took his first trip abroad in 2012 when he attended the Ibug Festival of Culture and Urban Art in Glauchau, Germany. His artwork has been featured in several different press outlets including Random, Juxtapoz, Rolling Stone, and The Telegraph. He was also profiled on the BBC news in July of 2015. He was born and raised in Buenos Aires, Argentina and shared a photo with his wife through Instagram in December of 2018. He painted a mural of famed soccer player Carlos Tevez in Tres de Febrero.